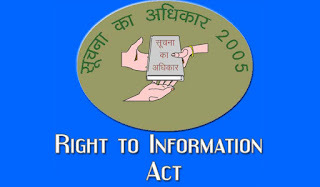 The basic object of the Right to Information Act, 2005 is to empower the citizens, promote transparency and accountability in the working of the Government. Firstly, you have to identify the department from which you want the information. After that you have to write the application by hand, or type it, in English, Hindi or the official language of the area. Secondly, address the application to the State/Central Public Information Officer. Write the name of the office from which applicant seeks information, and the complete, correct address. Clearly mention ‘Seeking information under the RTI Act, 2005’ in the subject line. Thirdly, state the request in the form of specific, detailed questions, and mention the period/year your request falls into. Ask for documents or extracts of documents, if required. Fourthly, provide your full name and address, contact details, email address and sign the application clearly. Fifthly, take a photocopy of the application and keep one with you for future reference. Send your application by post or hand it in personally to the department concerned. 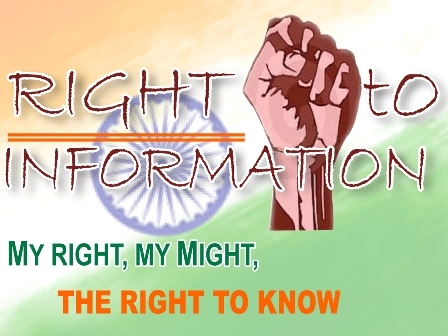 Any citizen can make a request through the RTI Online Portal to the Central Ministries/Departments and other Central Public Authorities mentioned in ONLINE RTI request form. RTI application for state public authorities cannot be filed through the online portal. It is not mandatory for the Applicant to create a user account and he can directly file the RTI on 'Submit Request' tab. On submission of an application, a unique registration number will be issued, which may be referred by the applicant for any future reference. Applicants below the poverty line (BPL) are exempted from making the payment. However, they have to attach a copy of the BPL certificate along with the application. A person in not required to engage a lawyer to file a RTI as he can himself file a RTI, appeal and second appeal. 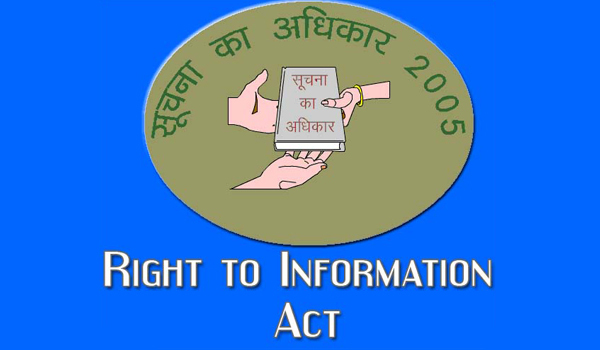 Section 8(1) and 9 of the RTI Act enumerate the types of information which are exempted from disclosure. Section 8(2), however, provides that information exempted under section 8(1) or exempted under the Official Secrets Act, 1923 can be disclosed if public interest in disclosure overweighs the harm to the protected interest. In normal course, information to an applicant shall be supplied within 30 days from the receipt of application by the public authority. If information sought concerns the life or liberty of a person, it shall be supplied within 48 hours. In case the application is sent through the Assistant Public Information Officer or it is sent to a wrong public authority, 5 days shall be added to the period of 30 days or 48 hours, as the case may be. case may be, or is not satisfied with the information furnished to him, he may prefer an appeal to the first appellate authority who is an officer senior in rank to the Public Information Officer. Such an appeal should be filed within a period of 30 days from the date on which the limit of 30 days of supply of information is expired or from the date on which the information or decision of the Public Information Officer is received. The appellate authority of the public authority shall dispose of the appeal within a period of 30 days or in exceptional cases within 45 days of the receipt of the appeal.